ILASOL's 32nd Annual Meeting will be held on Tuesday, Feb. 26, in the Tel-Aviv University Campus (Porter Building). See the Abstracts here. 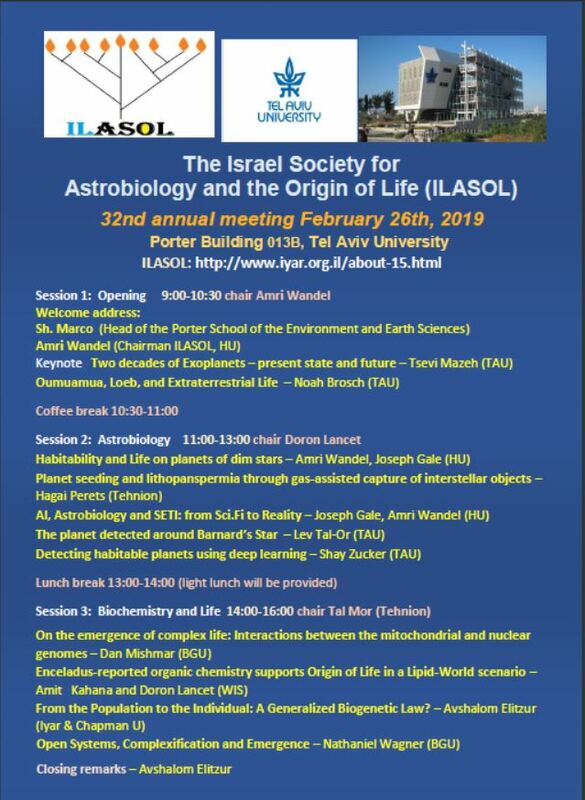 ILASOL, The Israel Society for Astrobiology and the Origin of Life. We are also on Facebook: https://www.facebook.com/ilasol0/?fref=ts. Visits, likes and sharing are most welcome.